After months of debate over a set of new school standards, both chambers of the Michigan Legislature have approved plans to move forward with the Common Core. The Senate passed a plan Thursday that would allow the state to continue support for local schools that have been implementing the standards for three years now. Senate Majority Leader Randy Richardville (R-Monroe) says now is not the time to reverse course on Common Core. Nearly 4,400 pedestrians and bicyclists were hit by vehicles in Michigan last year. 178 of those people died. 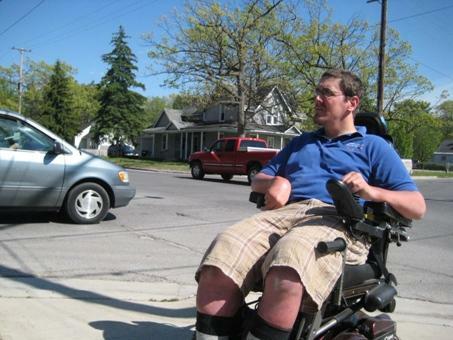 Two proposals in Lansing would expand penalties for drivers who cause those accidents. State Representative David Nathan of Detroit says everybody needs to do a better job of sharing the road. But he says when it comes to motor vehicle versus human being, it's no contest. "Making the penalties tougher should reduce the amount of injuries and accidents we have because it will make people pay attention more," he says. With the federal shutdown in its third week, the state is taking its first step toward laying off thousands of public employees. Michigan budget officials are asking state departments to determine which programs need to be shut down if federal funding isn't restored before November. People in and around Traverse City have been arguing for decades about traffic problems and how to fix them. It's a tough nut to crack though and just last week a lawsuit was filed over steps the city has taken toward a redesign of the busiest road in town: Division Street. Traffic is a top concern among voters, especially in certain neighborhoods, and 2013 is an election year. Former Detroit mayor Kwame Kilpatrick has been sentenced to 28 years in federal prison for extortion, racketeering, and other federal crimes. Detroit U.S. Attorney Barbara McQuade says the lengthy sentence sends "a powerful message." "I hope that this will empower people, when they are victimized by those kinds of extortion schemes to come forward to the authorities," she says. "This pay-to-play culture is over in Detroit." Kilpatrick said he "accepted responsibility" for his crimes, but that he never "stole" from the city of Detroit. Governor Rick Snyder says he doesn't know who donates to his New Energy to Reinvest and Diversify (NERD) Fund. Among other things, the fund pays Detroit Emergency Manager Kevyn Orr's travel and living expenses. Snyder made the claim under oath during his deposition this week in Detroit's bankruptcy case, an early transcript of which was made public Thursday. State Treasurer Andy Dillon will resign his position. In a statement released Friday, Dillon cites the media attention from a messy divorce as his primary reason for stepping down. Dillon says it would be unfair to both his family and Michigan residents to continue as treasurer amid the controversies and litigation surrounding an acrimonious divorce. He has also struggled with drinking. Dillon says his family deserves privacy, and Michigan residents deserve to know their treasurer is not distracted. 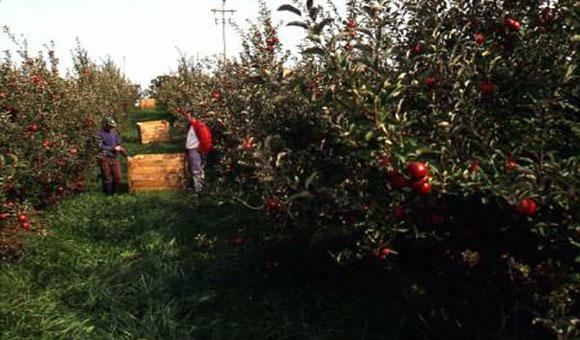 Michigan apple growers are facing a dilemma. They're looking at a record crop of high quality fruit but not enough workers to pick it all in the next six weeks. Michigan Farm Bureau sent help wanted postcards to labor contractors as far away as Georgia and Florida to try to bring in more workers. But spokesman Ken Nye says even if a few hundred respond that's far short of the couple of thousand more pickers that are needed. He expects maybe as much as 20% of the 30 million bushel crop will be left in the orchard. But some of the fruit eventually will go to people in need. Unions representing Detroit city workers and retirees got a chance to question Governor Rick Snyder under oath Tuesday about the city's historic bankruptcy filing. A federal judge is set to begin hearings on whether the governor and Kevyn Orr - the emergency manager he appointed - properly filed for the largest municipal bankruptcy in U.S. history. The Little River Band of Ottawa Indians announced this week two agreements with unionized workers at the Little River Casino Resort. Meanwhile a federal court will decide whether tribal law governing unionization goes far enough to protect workers. The U.S. Sixth Circuit Court of Appeals is scheduled to begin oral arguments today. A measure to restrict abortion coverage might run into a hurdle in the state Senate. The Republican leader there says he's not yet committed to taking up the measure. The group Right to Life of Michigan turned in more than 315,000 signatures last week to send the measure to the Legislature. It would ban insurance companies from offering standard health plans that include abortion coverage. Women would have to purchase the coverage as a separate rider. Senate Majority Leader Randy Richardville (R-Monroe) says he doesn't consider the proposal a top priority. Ann Loveless of Frankfort has taken the art world's largest cash prize for her 20-foot-long quilt depicting "Sleeping Bear Dune Lakeshore." She collects the $200,000 top prize in the annual ArtPrize competition in Grand Rapids. The top prize is determined by public vote. The quilt, in four panels, uses mainly cotton and batik fabrics to depict a Lake Michigan sunset amidst birch trees and dune shoreline. Michigan education officials say the state risks losing more than a billion dollars of federal school funding as the state Senate debates a set of nationwide school standards. The state budget that took effect this week bars the Michigan Department of Education (MDE) from spending any money to implement the Common Core standards. MDE officials say the federal dollars are only awarded to states that have adopted acceptable standards. Michigan chose to implement Common Core three years ago, with relatively little fanfare. The prison in Baldwin will remain closed for now. Michigan will not allow the privately run, for-profit prison in northern Michigan to house about a thousand inmates because there would be no savings to taxpayers. The state turned down two bids. In both cases, the contracts would have cost more than what the state pays right now. The Florida-based GEO Group was hoping to re-open an empty prison it owns in the town of Baldwin. Utah-based Management and Training Corporation also submitted a bid. The Michigan Department of Education (MDE) has asked to have its website taken offline. The state budget that took effect Tuesday bars the department from spending any money to implement a set of nationwide school standards known as the Common Core. "By the mere fact that we have information and assistance to local districts infused throughout our website, we felt - and we believe - that we would be in violation of the state law," said MDE spokesperson Martin Ackley. After a multi-year push to establish a telephone hotline for people in poverty there's no money to sustain the effort. Starting Monday, United Way of Northwest Michigan is letting its contract lapse for the 2-1-1 helpline serving the five-county Grand Traverse Region. The phone service is in place in many parts of the U.S., designed to help people find services such as food and housing assistance. United Way Executive Director Renae McCauley says the service cost her organization nearly $50,000 dollars a year, plus and $3.20 charge for every call that came in. A Northern Michigan group will get more funding to properly dispose of unused prescription drugs. Tip of the Mitt Watershed Council has collected more than 6,000 pounds of pharmaceuticals over the last four years. A national study finds traces of over the counter drugs in 85% of waterways tested. Federal environmental regulators now consider it an emerging concern. A new audit says the state could be doing a better job of regulating oil and gas drilling in Michigan. The Michigan Auditor General's report says almost 70 percent of wells currently producing oil and gas are not being inspected as frequently as the state had planned. Also, it says the department needs to better document and report environmental violations. <p><a href="mailto:jneher@mprn.org"><em>By Jake Neher</em></a></p> <p>The state House has voted to reinstate funding for the Common Core state school standards.</p> <p>More than 40 other states have chosen to adopt the standards, which set yearly expectations for what students should learn at every grade level in math and language arts.</p> <p>But earlier this year, Michigan lawmakers temporarily barred the state from spending money to implement Common Core. When IPR talked to pickleball players in the area we were told again and again, "Pickleball is the fastest growing sport in America." Which seems like it would be a tough thing to measure. But it's clear, at least, that pickleball is gaining popularity in northern Michigan. The racquet sport was invented in the Seattle area in the 1960's. It's played on a court with wooden or plastic paddles and a hollow, ventilated plastic ball known as a wiffle ball. Fruit growers are constantly looking for ways to reduce chemical sprays that control insects and diseases. But they're slow to adopt a new practice until it's proven to work. 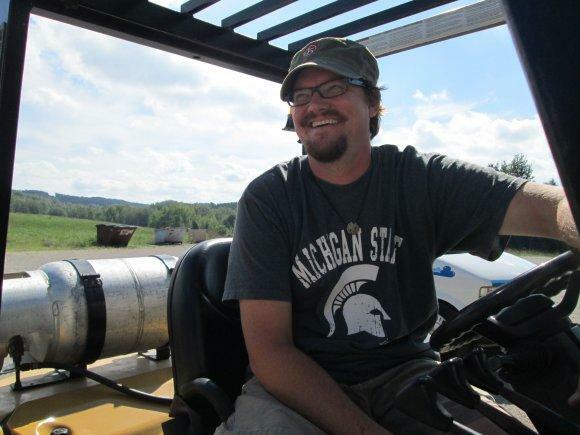 A vineyard in Leelanau County is one of the first to try a spray that produces no chemical residue and only pure oxygen as a byproduct. Naturally occurring ozone gas is produced when lightning flashes through the air. <p><a href="mailto:rickp@mprn.org"><em>By Rick Pluta</em></a></p> <p>In Lansing, a state House panel has approved legislation to allow faith-based adoption agencies to refuse to place children with a family based on a religious objection. <p dir="ltr"><em>By Laura Herberg</em></p> <p dir="ltr"><span>The group in charge of all those petunias that line the Charlevoix portion of US-31 is considering changes to the traditional display. 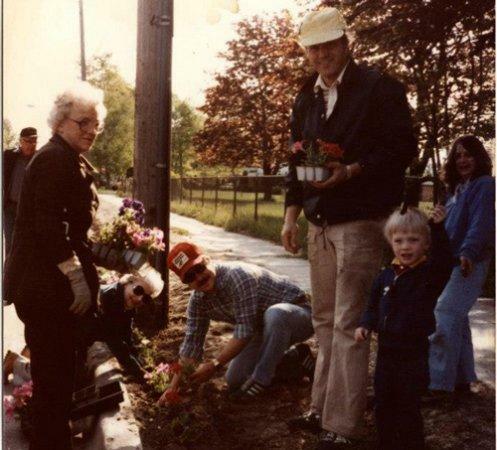 Keep Charlevoix Beautiful might switch from organizing the planting of 60,000 flowers in curbside beds to installing 300 hanging plants.</span></p> <p dir="ltr"><span>Aaron Wilkin, the group's president, says they've been relying on prisoners for weeding.